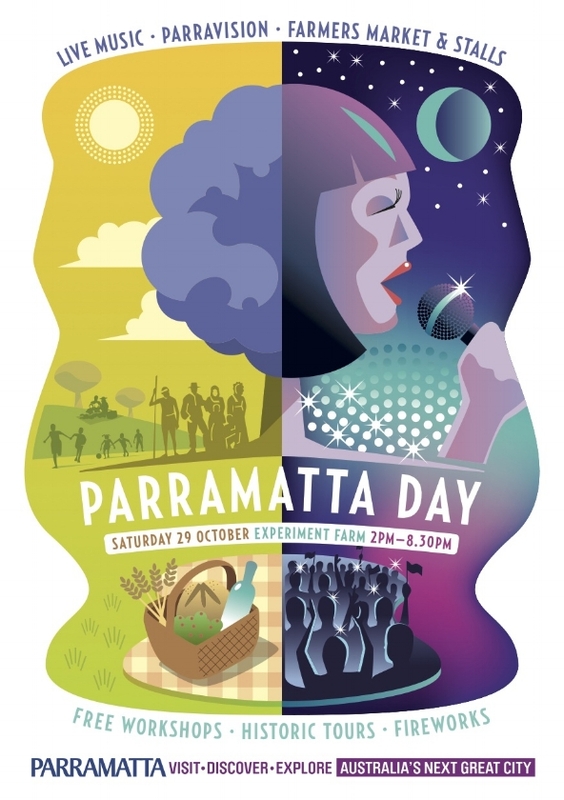 October Sun has provided Parramatta Council with event services since 2008. Commencing with the provision of an Eco Village for Parramatta Council's Australia Day Festival and increasing its involvement annually, culminating in the management of the entire day time activities for the festival (Big Backyard, 10am–7pm), plus the provision of food vendors and stall holders for both the morning (6am–10am) and evening components (7pm–9pm) of the event. Duties included provision and management of all entertainment, workshops, rides & amusements, food & merchandise stalls, roving performers, colonial displays, community engagement programs, arts & crafts activities, audio/visual requirements, infrastructure and provision of Public Liability (PL) insurance, Risk and Work, Health & Safety (WHS) documentation. October Sun has also co-managed, with the Parramatta events team, a variety of events including the Foundation Festival, Parramatta Day, River Beats and has provided food and merchandise stalls for its annual New Years Eve Festival, plus assisted design company Mess With It with the pack down of Parramatta's Lane Way Festival and Christmas 2016 event. October Sun has provided Randwick Council with event services and consultancy since 2011, commencing with the provision of a wide range of activities for its 2011 Eco Fair. October Sun has worked annually on this event to provide features designed not only to enhance the eco-message of this event but assist in running the event more sustainably. Duties included provision and management of entertainment, environmental workshops, bike activities including mechanics and pedal powered PAs, roving performers, arts and crafts activities, audio/visual requirements, management of infrastructure and provision of PL insurance, Risk and WHS documentation. October Sun has also co-managed, with the Randwick Council events team, a variety of events including Randwick's Earth Hour Twilight Picnic, the Heffron Park Bike Park Launch and the Filthy Festival, and has provided environmental audits and bin monitors for the Spot Festival and has also assisted in the development of the Randwick Council Sustainability Guidelines for events. October Sun has provided Ashfield Council with event services since 2010, commencing with the management of the GreenWay Festival, in which October Sun assisted the Council in the development of the event program and facilitated all components of the event. The GreenWay Festival was a multi-council event facilitated by Ashfield, Leichhardt, Marrickville and City of Canterbury Councils and was designed to celebrate the Cooks River to Iron Cove GreenWay. The event ran for one week and included the GreenWay Arts Exhibition, walking and bike tours, sketch classes, tiny tots activities, bushcare and biodiversity workshops and three distinct events – the Cooks River Day Out, GreenWay Day and the GreenWay Eco Village at the Summer Hill Grand Food Bazaar. October Sun provided and managed all components of the Greenway Festival including program development, sponsorship, marketing & promotions, and liaised with all relevant departments including traffic management and emergency services. Following on from the GreenWay Festival, October Sun extended its services to the running of all Ashfield Council's annual events. These included three major food events under the banner of the Feast of Flavours – the Summer Hill Grand Food Bazaar, the Haberfield Primavera and Ashfield's Taste of Asia, plus the Carnivale of Cultures and the Chinese Lunar New Year event. October Sun managed all components of these events including sponsorship, marketing & promotions and all community engagement responsibilities. 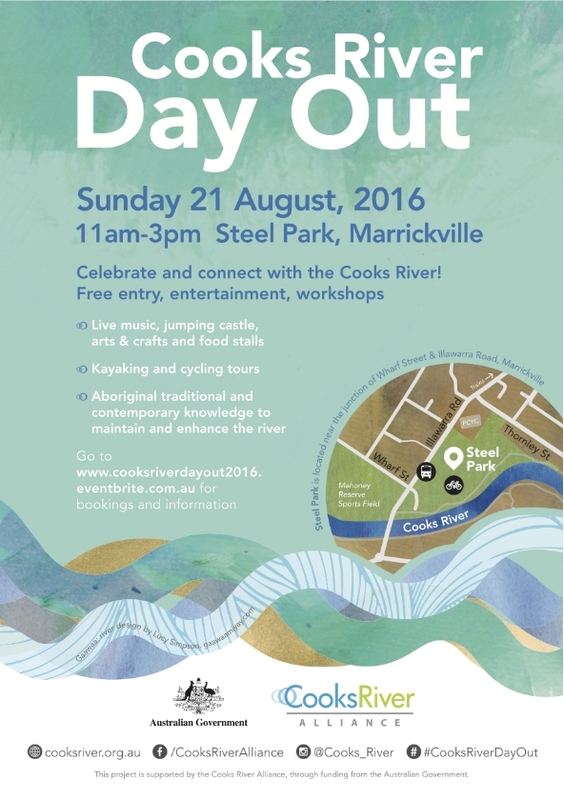 In 2016 October Sun coordinated the Cooks River Day Out, an annual event facilitated by the Cooks River Alliance – a collaboration between Bayside, Canterbury-Bankstown, City of Sydney, Inner West and Strathfield Councils. October Sun facilitated all aspects of this event from the initial development of the concept to the provision of all components including marketing & promotions, sponsorship, community engagement, entertainment, workshops (both arts & crafts and indigenous), amusements, bike and kayaking activities, stall holders (both food and merchandise), traffic management, infrastructure requirements, audio/visual, safety initiatives and all documentation including acquisition of PL certificates and provision of Risk and WHS documentation. The event was highly successful with all Key Performance Indicators met and a solid increase in the numbers attending from previous years.